Squadkit is a unique sportswear brand focussed on delivering high performance kit to the next generation of athletes. As the leading supplier to the UK’s top schools and colleges, we know that helping aspiring athletes to look and feel good is key to unlocking their potential. When it comes to style and fit, young people also have particular needs that are often overlooked. So we deliver kit that’s hardworking, comfortable and flattering because it’s the first step to getting them on the pitch, on the court, in the gym or on the podium. Our dedicated focus is on creating sportswear for young people. Years of experience mean no-one else is better at understanding and kitting out growing bodies. Every item of clothing is designed and tested for size and fit, with a clear brief that it wears hard, looks great and helps build confidence. Quite simply, we don’t compromise on quality. Our buyers work with global centres of excellence at the forefront of technical innovation, incorporating into their fabrics breathability, stretch, durability and protection from the elements. Looking and feeling the part is crucial to instilling a sense of self-worth and achievement. 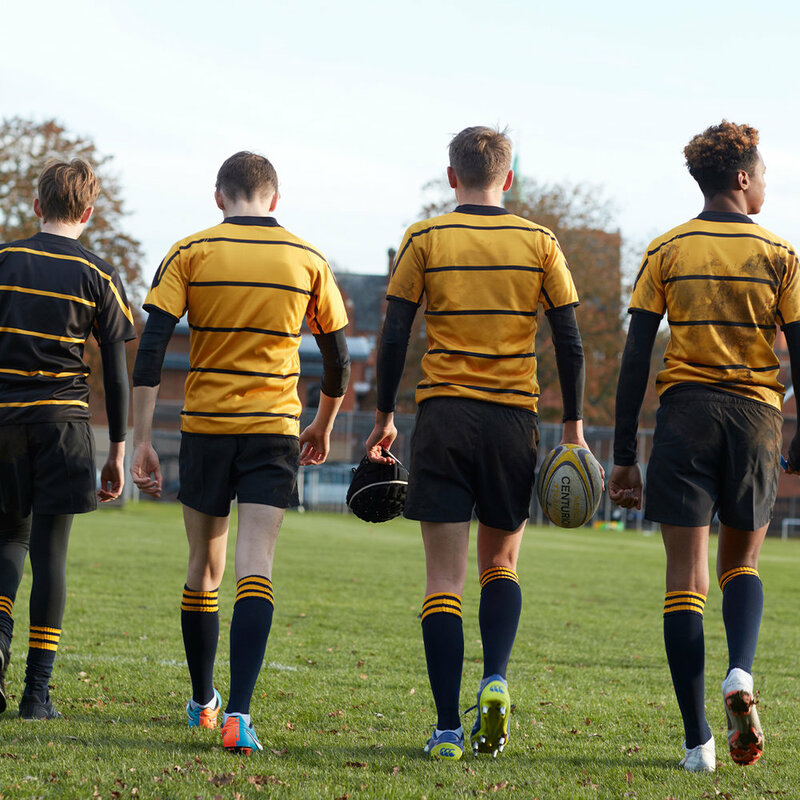 We work with schools and colleges to provide a unique range of kit that reflects their brand and ethos, creating sports kit that performs exceptionally, adding specialised items on demand. We are the #1 sportswear brand for Independent Schools. For kit designed exclusively for you with a simple one-stop online shop, speak to Squadkit.